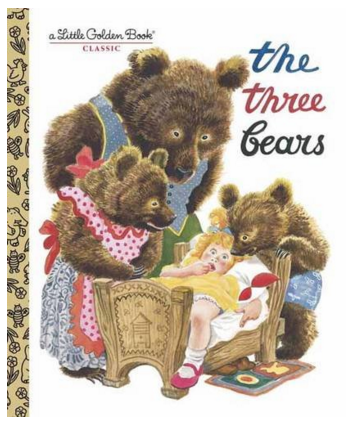 The Three Bears Hardcover Just $2.68 Down From $5! You are here: Home / Great Deals / Amazon Deals / The Three Bears Hardcover Just $2.68 Down From $5! Here’s a great Amazon deal to add to your story book collection! The Three Bears Hardcover is just $2.68 down from $5! Get yours now while it lasts! This classic Little Golden Book edition of the famous folk tale has had many imitators, but none can measure up to the way illustrator Feodor Rojankovsky brought Goldilocks and the three bears to life. Originally published in 1948, The Three Bears is now back in print for a new generation of fans.